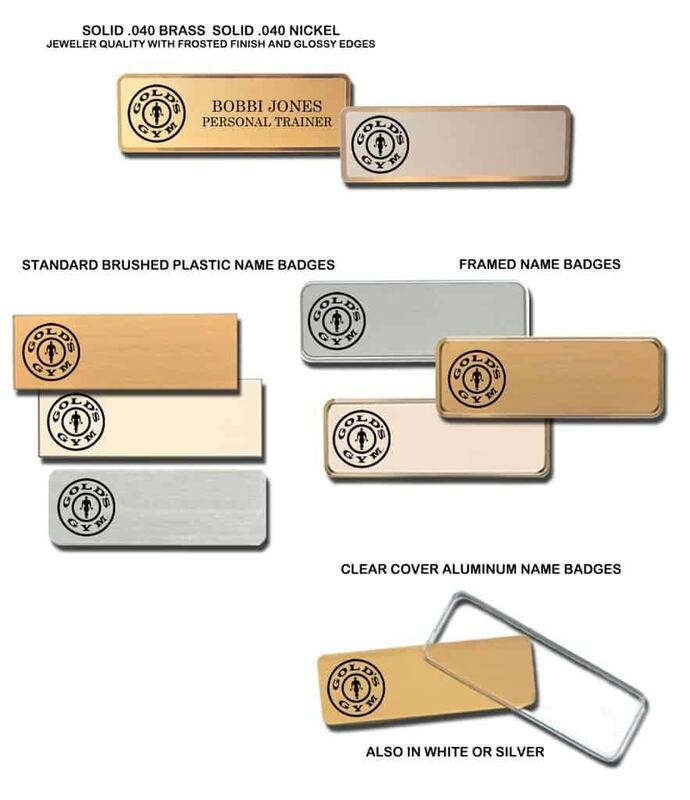 We produce employee name badges, magnetic name tags, locking pin name badges and numerous sign styles for our customers. Below are examples of logo name badges we’ve done for Golds Gym. All name badges are designed for you, let us make your custom name badge.